Stunning ancient sculptures and orthostats (large upright stones) are just some of the incredible findings that have been revealed by archaeologists within the factious and ancient city of Karkemish (Carchemish), which lies on the war-torn Turkey-Syria border, and the northwestern edge of ancient Mesopotamia. A site of upheaval and war since ancient times, the city has been excavated only intermittently since World War I due to various conflicts, and was a center of excavation for British research teams that included explorer T.E. Lawrence, known famously as Lawrence of Arabia, in the early 1900’s. Archaeological research has been dogged by violence and political clashes, and the city remains a scene of contention today, with some areas of the site being off-limits. CBC News reports that the palace of King Katuwa, who ruled in 900 B.C., contained lavish sculptures. Limestone and basalt orthostats (upright stones or slabs like those found at Stonehenge), have been found depicting rows of people bearing “gifts of gazelle” carved into the dark rock. 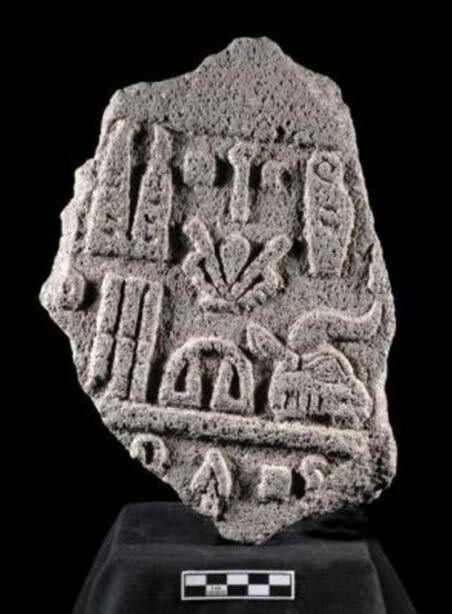 The remains of palaces, temples, basalt statues, hieroglyphic inscriptions, and 20 meter (65 foot) high defensive walls have been discovered in the city during previous digs. A mosaic floor found in the palace of Sargon II, Assyrian ruler in 700 B.C, reflects artistry and craftsmanship from the ancient Mesopotamian empire. The team has also examined the remaining ruins of the 1911 expedition house used by Lawrence of Arabia and the British team. Nicolo Marchetti, project director at Karkemish, and professor at the University of Bologna, heads up the team from Gaziantep and Istanbul universities. Marchetti said, “You do feel a connection with what has been written, with what has been found and, of course, with the people who were here,” according to Global Heritage Fund . The research team has been undertaking the most extensive excavations in nearly a century and there are plans to continue study and conservation in Karkemish with the aims of opening the site to tourists in the coming year. Kusarikku (hybrid bull-men) and ugallu (hybrid lion-men). is this the literal translation? 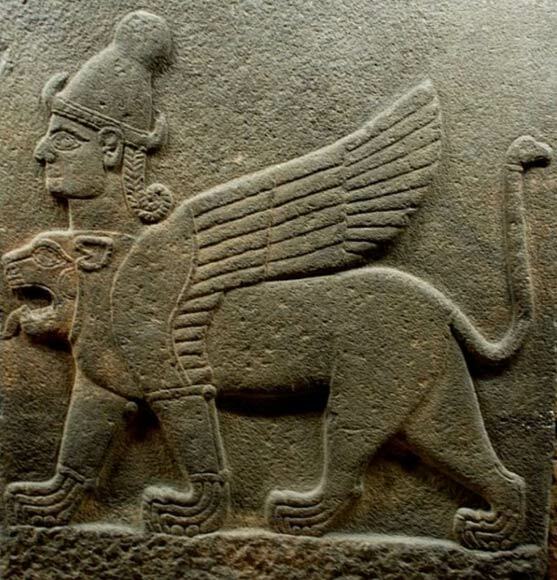 i see it as an artist depicting that the kings of men were above animals, yet similar and they had the power of flight. i believe that the common man looking upon this art, would be told like with cave paintings a message. although there is a possibility that creatures such as depicted may have existed. much trial and error was recorded in the making of man. trying to find the correct DNA sequence. 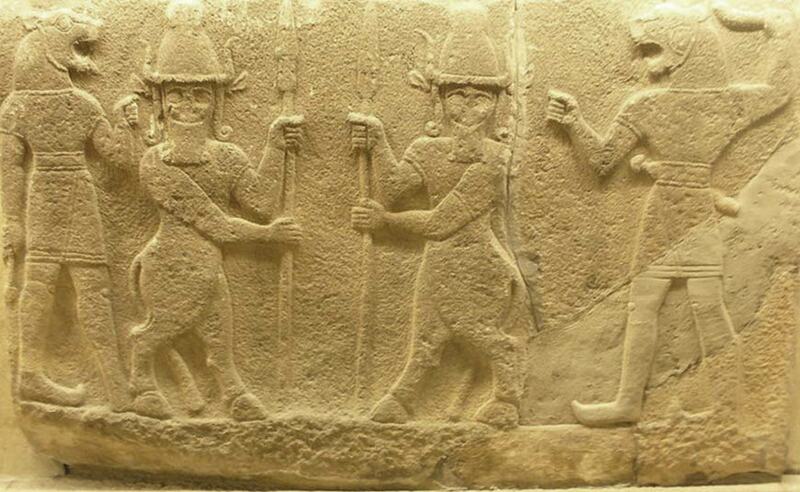 It looks like a couple of soldiers are being run over by chariots in both of those reliefs.